← Humidity. Measurement and trusting the numbers. If you remember the previous post about humidity, recall the plastic pouch with special crystals that control the humidity in the pouch at 32% rh? 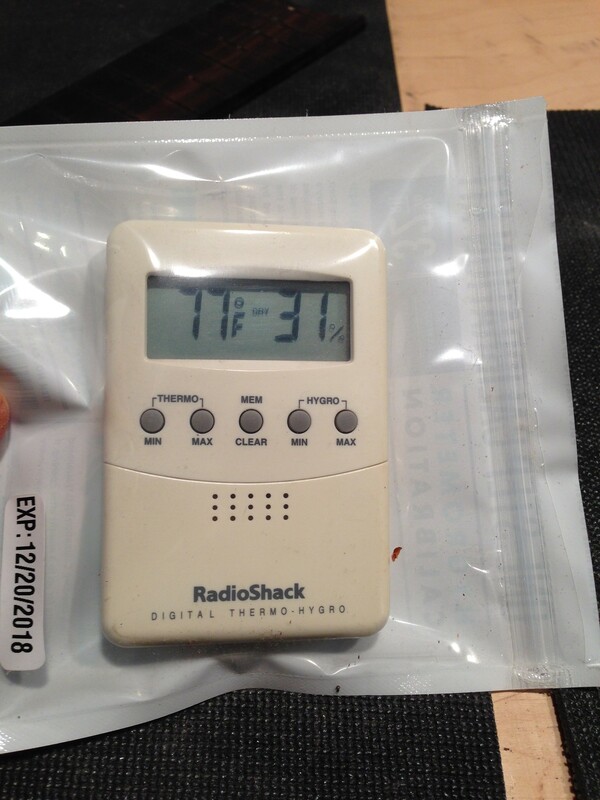 After 24 hours in the pouch , the hygrometer reads…. 31%. Pretty accurate. The least accurate was the “Accurite” unit. I’m renaming it “Accuwrong”. This entry was posted in workshop and tagged humidity, hygrometer, testing. Bookmark the permalink.